With the manage tab above the payment type filter, you can easily create new payment types and delete old or incorrect ones. 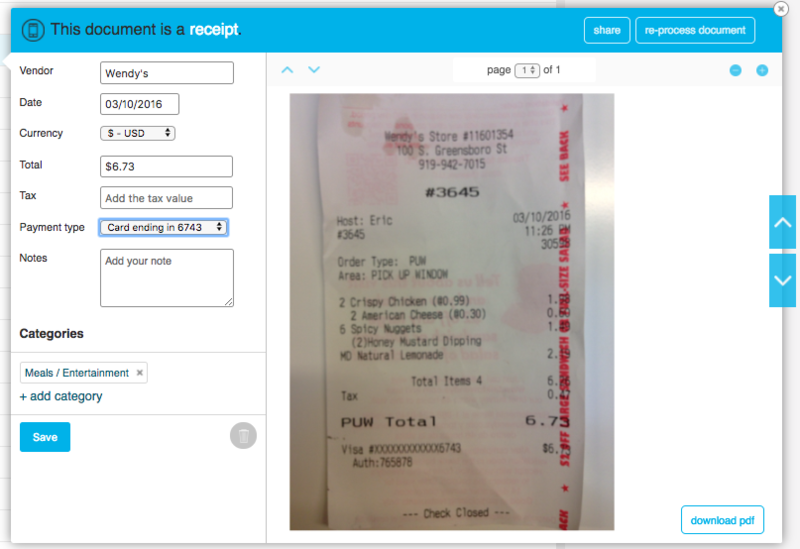 Simply select a receipt in the receipts tab so you can see image, and click on the payment type drop-down. Then, select Add New Card. Next, type in the last 4 digits of the card, and hit the blue Save button. 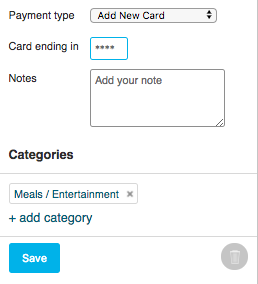 Go to your receipts tab, and select manage next to the payment type filter. Then, hover over the desired card number, select edit on the right side, enter the new number and hit save. Note: when editing a payment type, the updated card number will retain all categorization rules associated with the previous number. Go to the manage payment type page, hover over the desired card number, and click the red delete button. Note: when a payment type is deleted, all category rules associated with it will be removed as well.